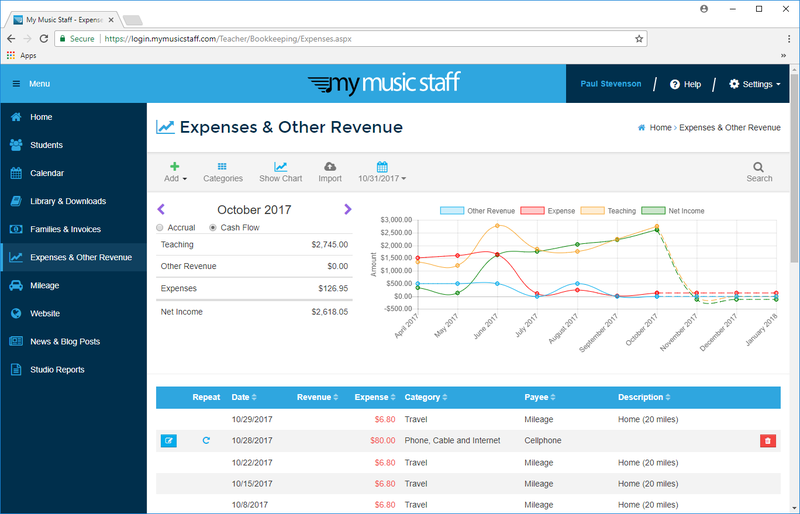 In addition to helping you create invoices and student schedules, My Music Staff allows you to track your studio expenses and non-teaching related income. It’s easy! With My Music Staff, you can create customized categories for all types of income and expenses for your studio. Then, when it’s tax time, you’ll be ready to print off your yearly report that shows every transaction by category. In an instant you’ll be able to tell just how profitable your music studio is. If you use My Music Staff to track payments from families, then you’re already keeping track of teaching related income. But if you’re an active musician, you probably have income from other sources too, like performances and paid gigs. My Music Staff makes it easy to track all this and more in one location. That way, when tax time comes around, all your information is in one place. Use My Music Staff to snap and save a picture of your receipts. The app will scan the receipt to capture the price, payee and date… less typing = more teaching! 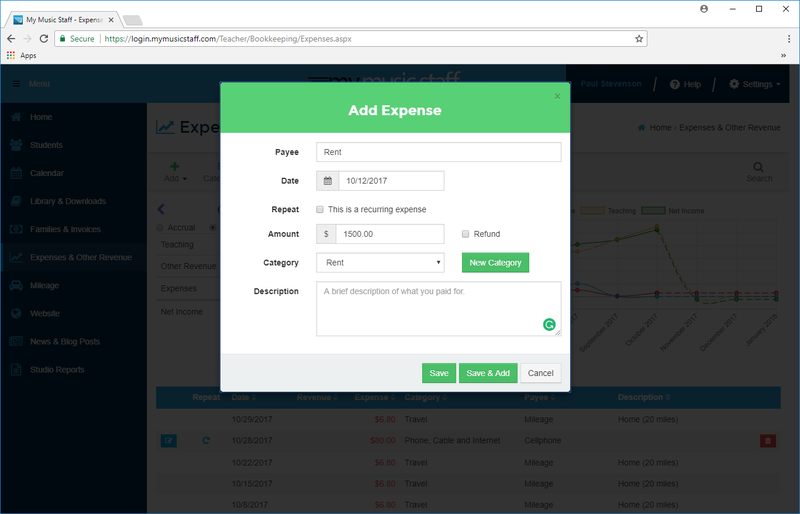 When you run your year-end reports for tax season, you’ll have a concise report along with a zip file of all your expense images. 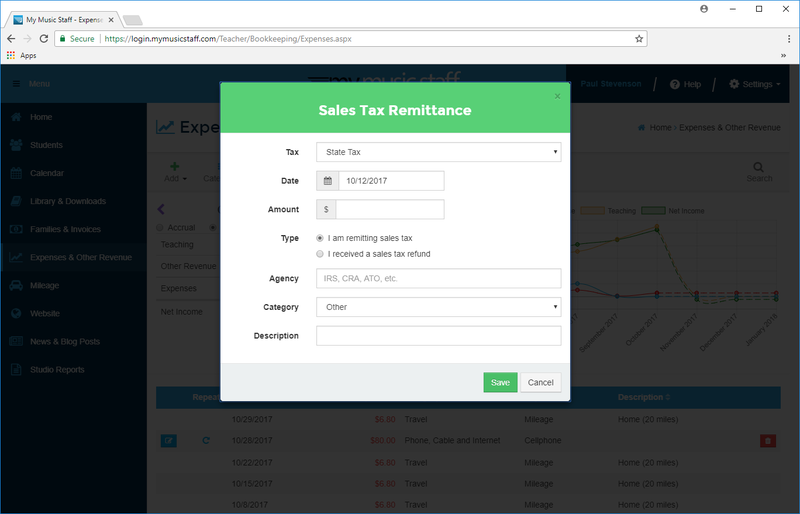 Use a Third-Party Accounting Platform? No Problem! You can easily export all of your financial data from My Music Staff and import it into your accounting platform (e.g. Quickbooks, Xero, MYOB, etc. ).